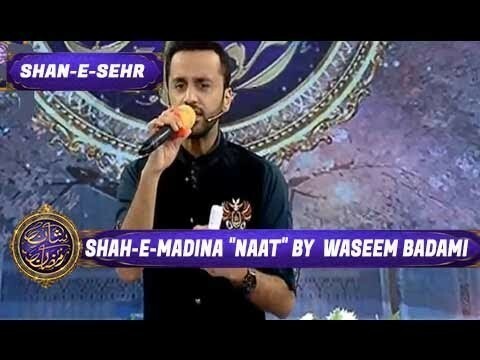 Shan e Madina is a Pakistani Ramzan transmission which will be aired on ARY Digital during Sher and Iftar time. It is hosting by a famous host of Pakistani show Waseem Badami. In this transmission competition of Naat, questions about Islamic history and quiz ae include. The winner will get many expensive prizes like bikes, electronic items and cars.